We are an independent family-run business committed to providing the highest standard of care and service to each family that we serve. We have grown through establishing a high reputation and personal recommendations. We are not part of a large group so are able to concentrate all our attention on providing a more personalised approach, focusing on giving you the support and guidance you need, both before and often long after the funeral has taken place. We believe that each funeral should be individual, and of course take into consideration both the wishes of the person who has died and their family. Therefore, our premises have been designed as a warm and inviting place that feels like home, where you can talk with us and take time over making choices. If you would like help organising flowers for the funeral then we have our own experienced in-house florist, and can therefore offer a very personal and affordable service. We are also happy to receive arrangements from a florist of your choice. 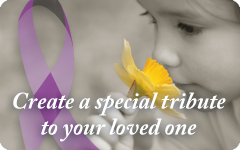 Some families prefer to restrict the flowers to immediate family and ask others to donate to a chosen charity instead. We administer this for you as part of our professional fee. We provide a wide range of coffins, caskets, and urns, from the traditional crafted coffin through to colourful designs and natural environmentally friendly collections. You might find a comfort from placing personal keepsakes, photos, or letters in the coffin with your loved-one. We can advise and help you with this. We are happy to create and arrange an obituary notice for both local and national newspapers for you. This provides a good opportunity to announce the death and detail of the funeral. We can compile and produce an Order of Service booklet for you which not only details the service, but can also be used as a keepsake, or perhaps sent to those who are unable to attend the funeral. Having music at the funeral can truly personalise the service. A Hymn, a favourite piece of music or perhaps a popular song can be played. We can advise you on the options available. Our hearse will transport the coffin to the funeral. If you would like to be part of the funeral cortege, we can provide transport for you to follow the hearse by limousine or you could choose to simply follow in your own vehicles. You may wish to plan a special route for the cortege to follow, taking into consideration favourite memorable places. Horse-drawn carriages are an elegant alternative to the traditional hearse and provide a stunning and graceful cortege. Not everyone wishes for a traditional funeral vehicle and we can provide a whole range of alternatives, such as motorcycle hearses, buses, trucks, camper vans or even a fire engine.